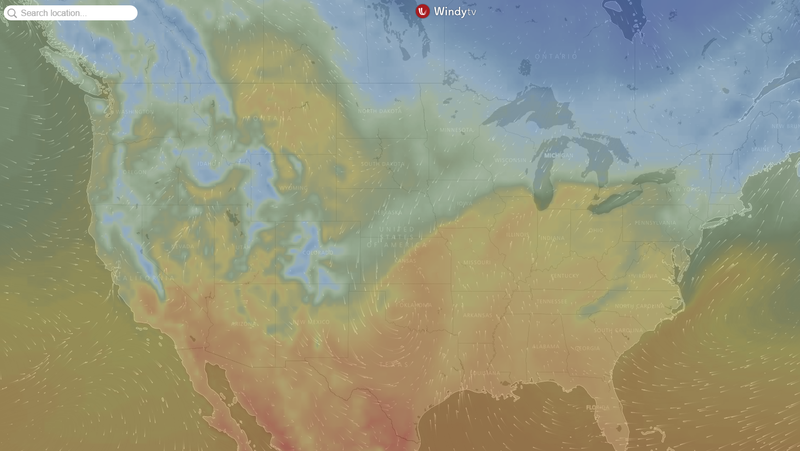 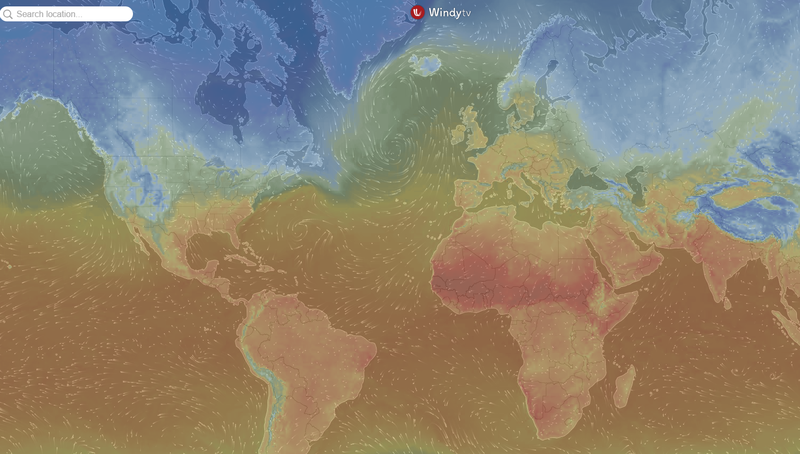 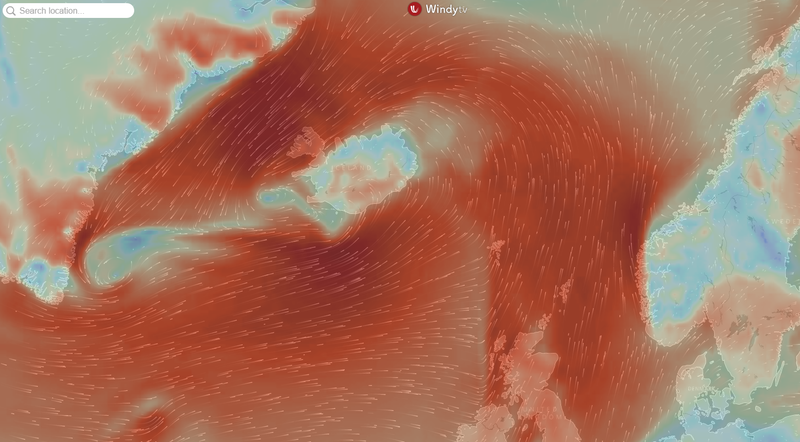 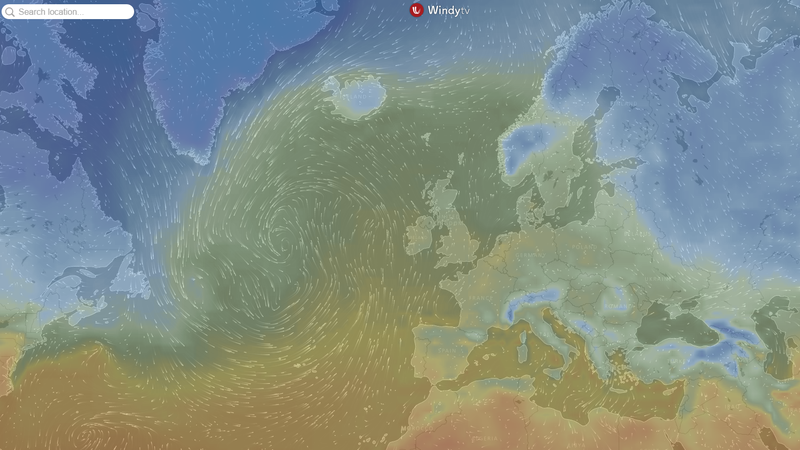 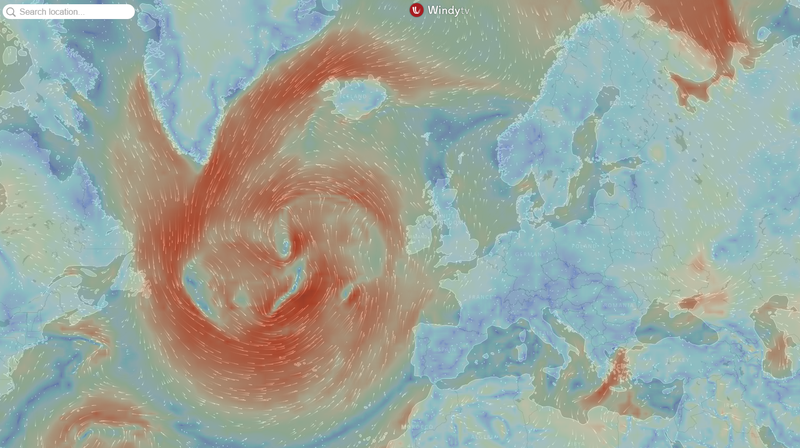 As you probably know, Windy lets you customize color palette for any weather layer. 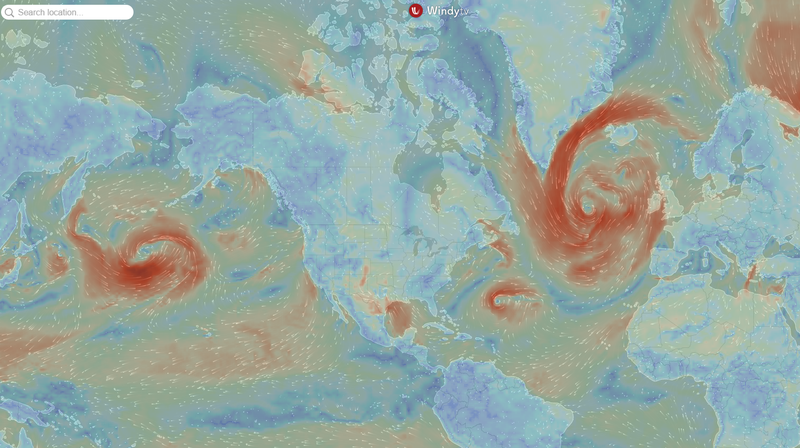 Windy user @zenarcher came with color scheme that mimics XC Weather. 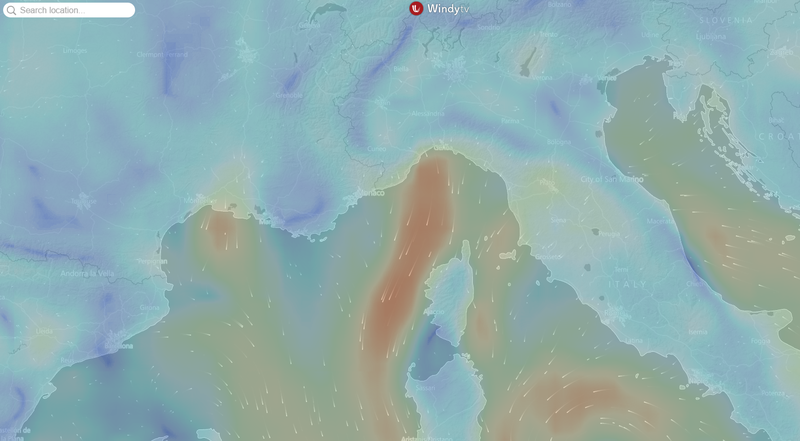 Before Windy I used xcweather all the time I'm sure many of you have used it before so when I saw that we could change the overlay I decided to use the colors from xcweather and use them in Windy out of interest to see the results. 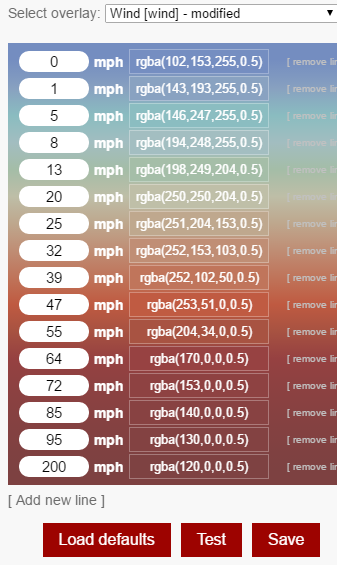 First of I needed to get all of the colors this was actually pretty easy as xcweather displays a key at the bottom of the page so I was able to get all of the colors and convert them into rgba and then apply each color to the wind speed. 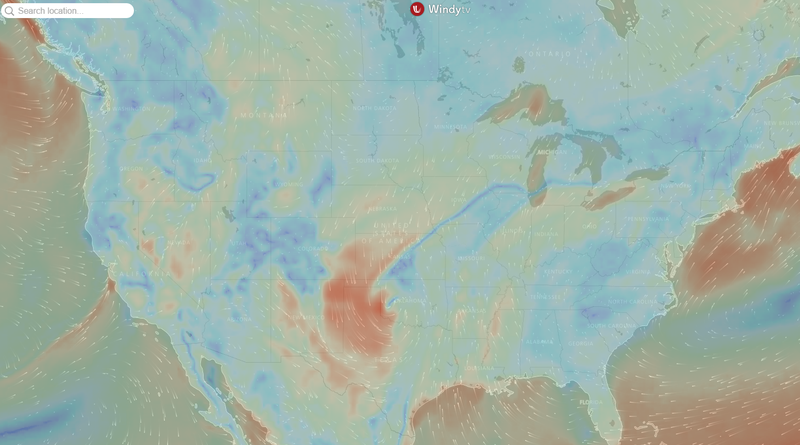 Below is a chart of the results. 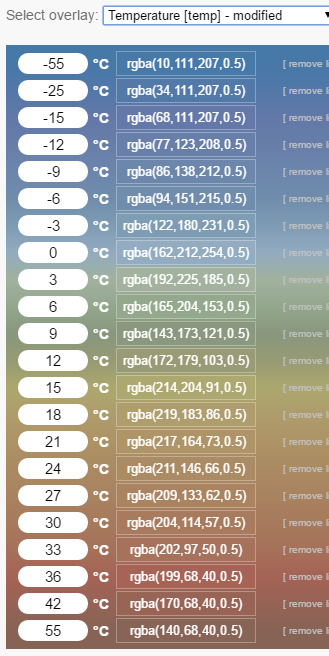 I also done the same thing for temperatures you can use these if you also want to give it a go.